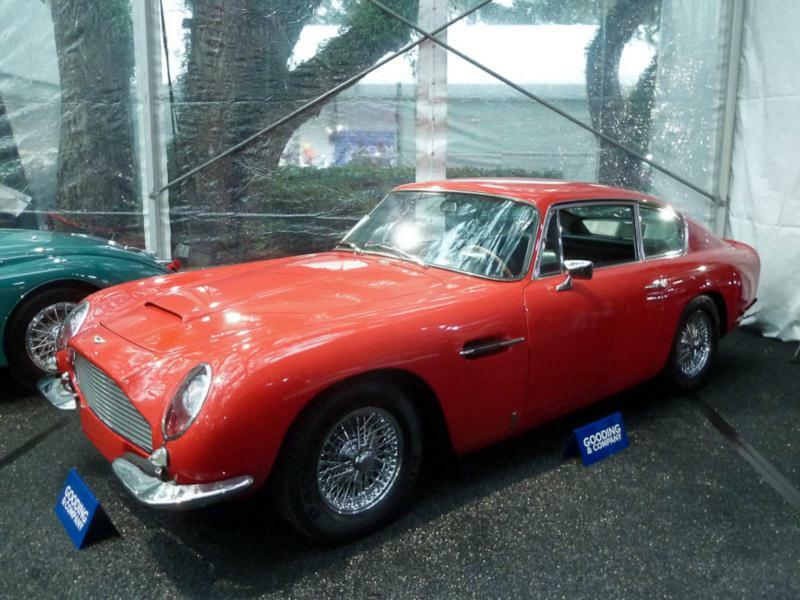 The third important Aston Martin six-cylinder sports car of the 1960s, the DB6, was built between 1965 and 1970. Despite a lot of styling cues from the DB4 and DB5, its mission was expanded to become a four-passenger car, which involved lengthening the wheelbase by four inches. The windshield was raked and the roof rose about an inch in the rear for more headroom, but the biggest change was in the car’s fastback styling. The Tickford-built body terminated in a handsome, curved Kamm tail which wasn’t only aesthetic, but actually increased high-speed stability. The new design was a good idea on a car that could do as much as 155 mph, assuming you opted for the DOHC four-liter, 325-horsepower Vantage engine. The standard 282 horsepower motor was only good for 145 mph. Two different DB6 models were made; there were 1,327 examples of the Mk I, produced until July 1969, followed by 243 examples of the Mk II, built until November 1970. The Mk II featured a more substantial clutch with a changed first gear ratio, standard power steering, and flared wheel arches to accommodate wider tires. Unrelated to the DB6, between 1965 and 1970, 215 Volante convertibles were made; the first group using the DB5 short chassis, and later cars having the longer DB6 frame. Harold Radford also built six handsome shooting brake estate cars. Aston Martin launched the DBS in 1967, and its crisper American styling left journalists conflicted about what they saw as the last gasp of the rounded DB4 design. Regardless of road reports from the day, nobody argued about whether or not the DB6 was a more user-friendly car. Aside from being a legitimate (if cramped) four-seater, the DB6 had optional air conditioning (as well as an unloved automatic transmission. Vantage-spec cars were also noted for their ease of acceleration, and their comfortable top speed, which approached 150 mph. Like virtually every other car of the era, rust is the main enemy with the DB6, especially where aluminum body panels meet the steel chassis. Most DB6s have benefitted from a thorough restoration by this point in their lives, but be aware that older work may be in need of a refreshening, which can still be expensive. Also, be extremely cautious about barn finds and insist on a profound pre-purchase inspection.